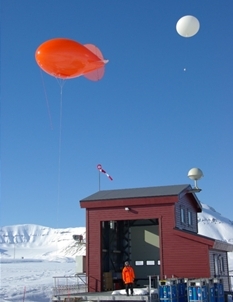 The GCOS Upper-Air Network (GUAN) serves specifically the needs of global climate applications and has been established mainly on the basis of existing GOS networks. It forms a minimum configuration required for global applications for upper-air. The the spacing of GUAN stations is set at 5 to 10 degrees latitude, sufficient to resolve synoptic-scale waves. The desired parameters are temperature, pressure (geopotential height), wind, and humidity (at least in the troposphere). The current state of GUAN and its performance indicators are provided by the Global Observing Systems Information Center. A report on the network perfomance in 2017 is available here.